Diving into Dining! Our young food writers at Sunset Elementary — Take My Word For It! 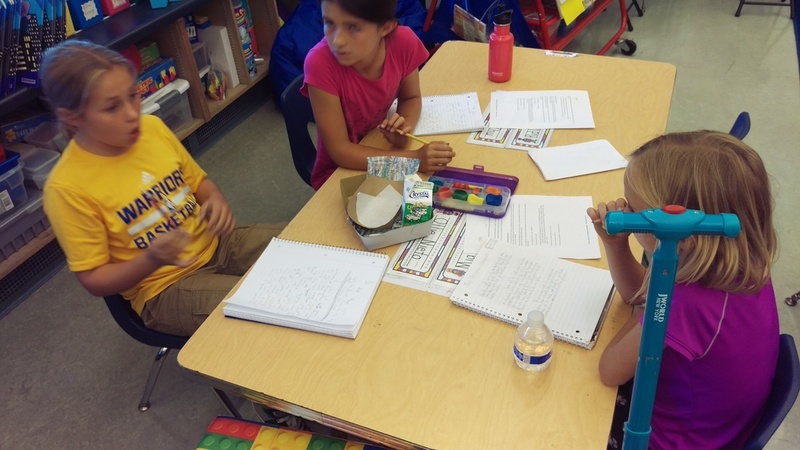 Our 3rd & 4th graders at Sunset Elementary in San Francisco have cooked up some delicious writing this fall. Exploring writing through the lens of food has produced some delectable results - as well as whet all of our appetites! After many classes just talking about food, yesterday we celebrated by learning about Día de los Muertos food traditions while sampling pan de muerto and sugar skulls - describing food may be easier while eating it! Our Sunset Elementary young writers at work. One of their favorite activities has been creating an adventure story in a pair or trio starring personified food characters they created.